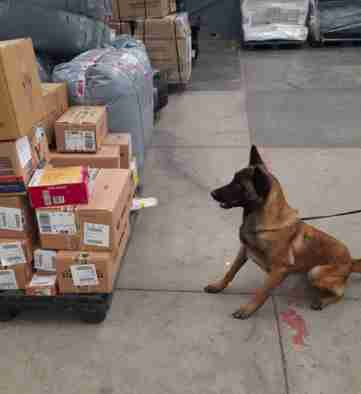 Searching through a recent mail delivery for suspicious materials last week, a canine police officer in Mexico sniffed out a large plastic box — and ended up saving a life in the process. 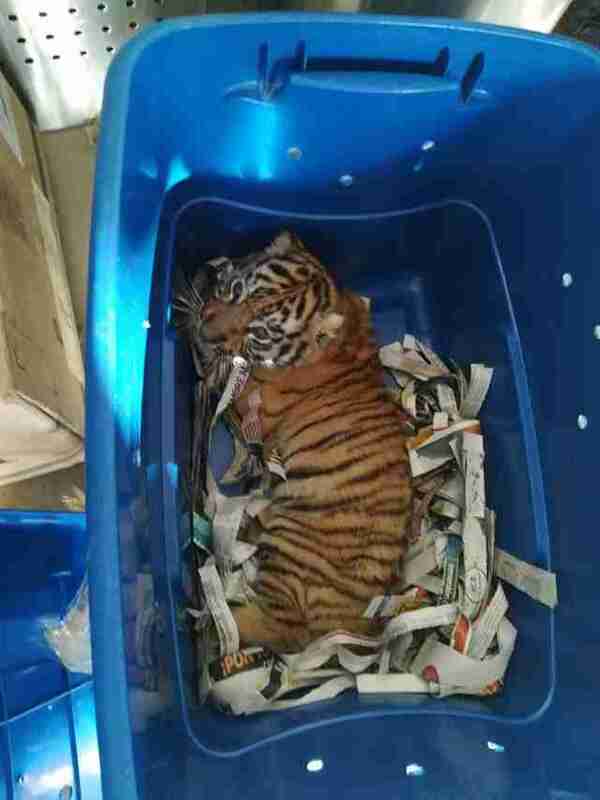 Cutting through the duct tape that sealed the box shut, police officers opened the box to find a Bengal tiger cub peering up at them from a bed of shredded newspaper. It was clear the 2-month-old tiger had been sedated for transit, and his only form of ventilation was a few small holes on the side of the container. He had no food or water. According to the police department, the tiger was intended to be mailed across Mexico from the western state of Jalisco to the central state of Queretaro. Investigators said the ownership papers found with the tiger were in order, but the way he was transported via express mail is a clear form of animal mistreatment. 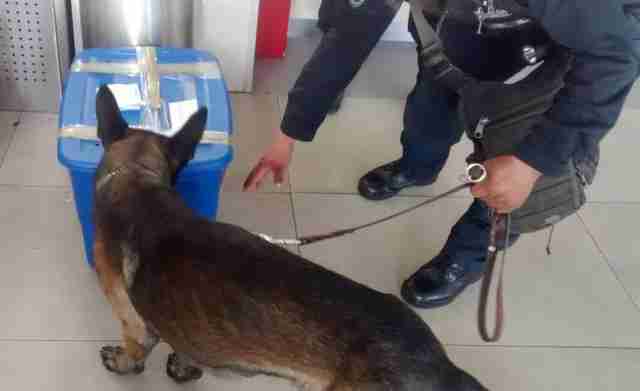 The tiger was taken to the Wildlife Rescue Directorate of the Municipality of Tlajomulco de Zuniga, where he is being treated for dehydration. Despite being underweight, officials said, the cub appears to be fairly healthy. Prashant Khetan, chief executive officer for Born Free USA, said the manner the cub was transported in is worse than usual shipping methods for big cats within the wildlife trade. Typically, they are shipped in large metal or wooden crates. While it’s unclear why the tiger was being shipped, Khetan said it’s likely the cub could have been intended as a pet or to be featured in an animal attraction. In Mexico, Khetan added, some resorts have employees walk sedated animals around for guests to pet and photograph. Since there are a number of people who breed tigers within the U.S. and Mexico, it’s also likely that the cub was bred within North or Central America, not shipped in from Asia. Many are bought as pets — and once they grow too large to be handled by people, they are sold to a roadside zoo or confined to a crate. As the cub recovers, the office of the Federal Attorney for Environmental Protection is investigating the situation. Officials have not yet announced where he will end up, but Khetan hopes the young tiger will be transferred to a wildlife sanctuary. To help animals within the illegal wildlife trade, you can make a donation to Born Free USA.